Toyota recently announced it will discontinue its youth-aimed Scion brand, a not so surprising move for one of the world’s top automakers. 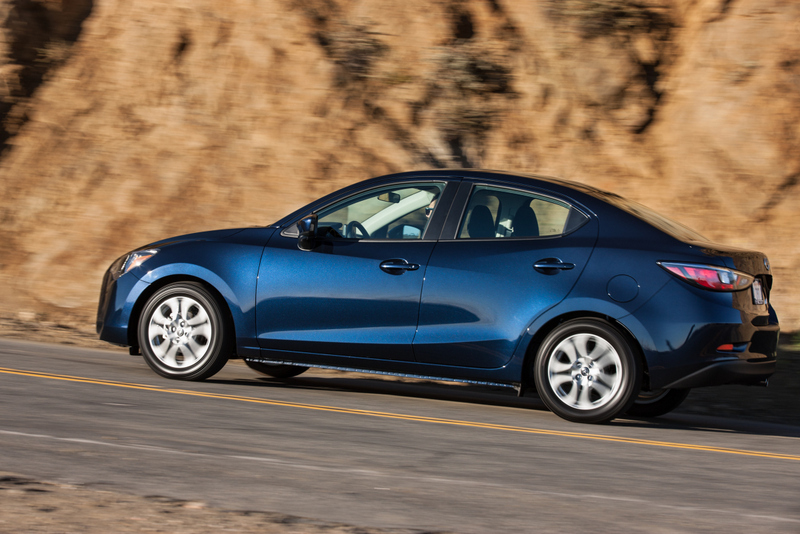 One of the brand’s newest models, the 2016 Scion iA sedan, will continue as a Toyota model. But it’s not really a Toyota, either. The iA is actually built by Mazda and sold elsewhere as the Mazda2, a good thing, since Mazda’s latest offerings are among the most appealing mainstream cars and crossovers. The iA sports a familiar Scion grille design, but everything else is typical Mazda, including the standard, high-mounted multimedia display and rotary controller. It’s a more intuitive and easy to use interface than the touchscreens and mouse-like controllers in purebred Toyota and Lexus vehicles. 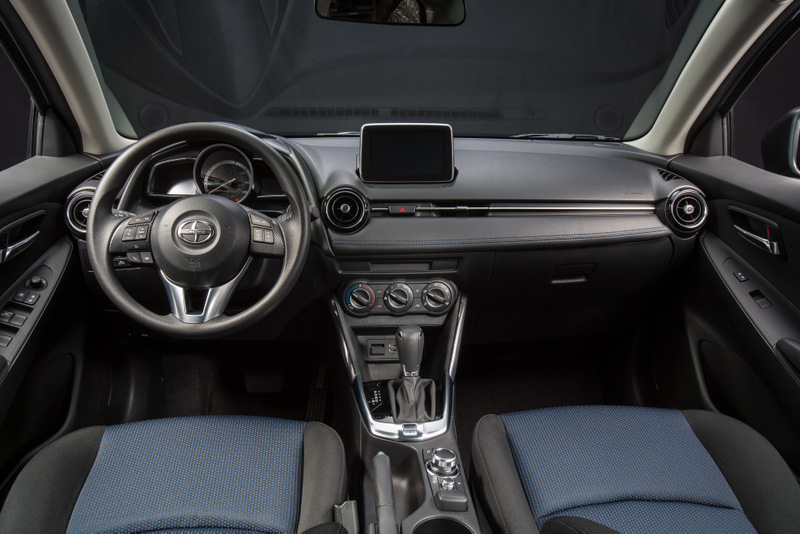 The 7-inch display and standard push-button start are features usually reserved for pricier models, or included in extra-cost trim and option packages. Here, you get these goodies for the starting price of $16,495, including a $795 destination charge. The list of standard features doesn’t end there. A backup camera, alloy wheels, power outside mirrors, tilt/telescope steering wheel and cruise control are all including on the base model. Compare that to the Hyundai Accent, which has a lower starting price but quickly catches up with the iA when equipped with must-have features like Bluetooth hands-free, which comes standard on the Scion. The iA includes less noticeable conveniences, too. For example, the three-flash lane-change turn signal is an extra that every new car should have. The iA is a compact car, a fact that’s reflected in the way it drives and handles. In acceleration and handling, light weight is an asset. At highway speeds, though, the iA lacks the road presence and more stable ride of bigger, heavier sedans. An interstate highway drive on a windy day revealed the challenges smaller, lighter vehicles face compared to even midsize sedans. Around town, the iA is a gem: easy to drive, easy to park, comfortable (at least for average-height or shorter drivers) and practical enough for a small family, provided no rear-facing child safety seats are necessary. The test car came equipped with the 6-speed manual transmission, which helped make the most of the modest 106 horsepower from its Mazda 1.5-liter four-cylinder engine. 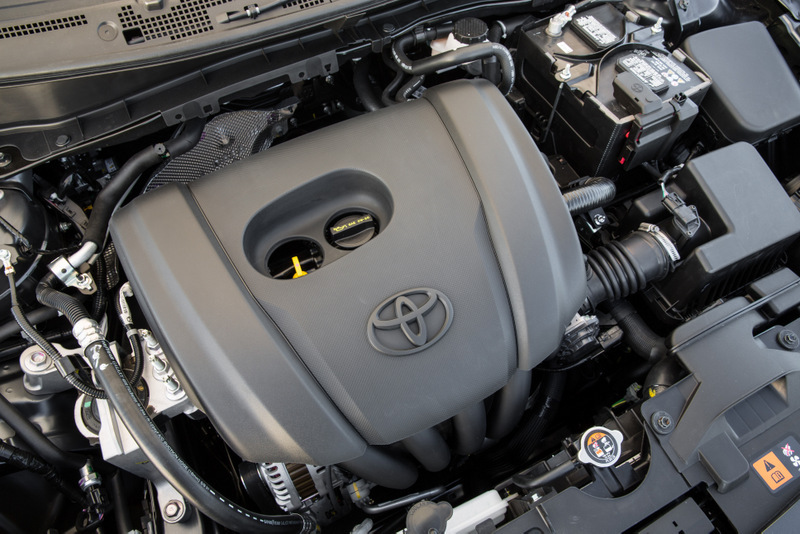 Horsepower ratings are identical to those of the Toyota 1.5-liter engine in the current Yaris, but the iA is considerably more entertaining to drive. Perhaps the advantage can be chalked up to the iA’s more modern direct-injection motor and thoughtful tuning by Mazda’s race-inspired engineers. Fuel economy is excellent. During a weeklong test of both city and highway driving, the iA had no problem returning better than 30 mpg. 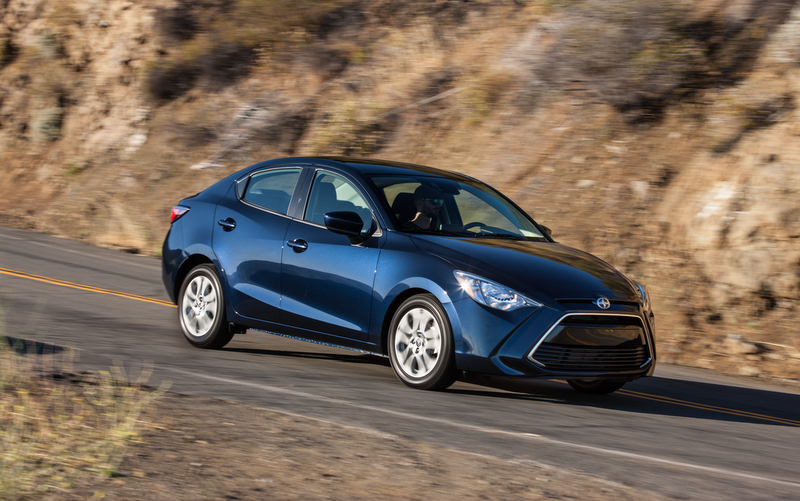 For drivers on a budget, the 2016 Scion iA is a wise choice and makes a strong argument for choosing a more affordable new car over a similarly priced used model. Drivers seeking low-cost, reliable and efficient transportation – without sacrificing on new technology and modern conveniences – are hard pressed to beat this small sedan, whatever its name.